This stylish hotel in the heart of Vienna is perfect for those with a passion for life’s beautiful things. 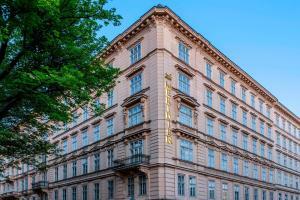 This hotel is set in Vienna’s historic center, just minutes away from sightseeing and shopping. The hotel offers 294 rooms, with modern design and atmospheric colored lighting. Between two historic parks, surrounded by architecture and nature, the design hotel is centrally located in the city center of Vienna. Le Moët, Restaurant Shambala - International Cuisine, Shambala Bar. State Opera House, Prater-Amusement Park, The Kunsthistorisches Museum Vienna, Hofburg Imperial Palace, Belvedere Palace, Schoenbrunn Palace.